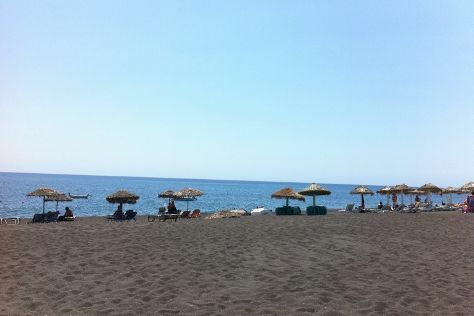 Kick off your visit on the 24th (Wed): make a trip to The Windmills (Kato Milli), then kick back and relax at Super Paradise Beach, and then enjoy the sand and surf at Elia Beach. Get ready for a full day of sightseeing on the next day: kick back and relax at Ornos Beach, then tour the pleasant surroundings at Platis Gialos Beach, and then tour the pleasant surroundings at Paradise Beach. To see where to stay, reviews, traveler tips, and more tourist information, go to the Mykonos Town trip itinerary builder app . Singapore, Singapore to Mykonos Town is an approximately 16.5-hour flight. You can also do a combination of flight, taxi, and ferry; or do a combination of flight, bus, and ferry. You'll gain 6 hours traveling from Singapore to Mykonos Town due to the time zone difference. Plan for a bit cooler temperatures traveling from Singapore in October, with highs in Mykonos Town at 25°C and lows at 20°C. Wrap up your sightseeing on the 25th (Thu) to allow time to travel to Vasilikos. 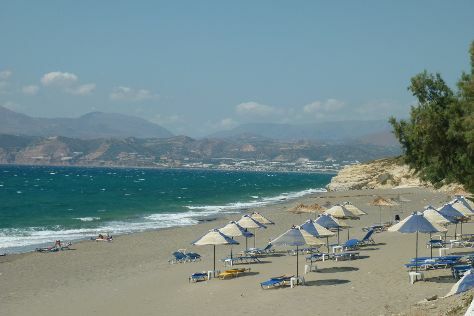 Kick off your visit on the 26th (Fri): stroll through Vrahos Beach and then enjoy the sand and surf at Kalamaki Beach. On your second day here, enjoy the sand and surf at Banana Beach and then tour the pleasant surroundings at Gerakas Beach. To see other places to visit, reviews, more things to do, and other tourist information, you can read our Vasilikos trip planner . Traveling by combination of flight and taxi from Mykonos Town to Vasilikos takes 3.5 hours. Alternatively, you can do a combination of ferry, bus, and taxi; or do a combination of ferry and bus. In October, daytime highs in Vasilikos are 28°C, while nighttime lows are 17°C. Cap off your sightseeing on the 27th (Sat) early enough to travel to Milos. Kick off your visit on the 28th (Sun): kick back and relax at Paliochori Beach and then enjoy the sand and surf at Sarakiniko Beach. 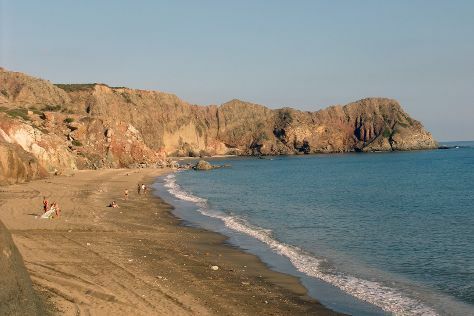 For ratings, photos, and tourist information, read our Milos trip planner . Traveling by combination of taxi and flight from Vasilikos to Milos takes 3 hours. Alternatively, you can do a combination of bus and ferry. In October in Milos, expect temperatures between 26°C during the day and 20°C at night. Finish your sightseeing early on the 28th (Sun) so you can ride a ferry to Fira. On the 29th (Mon), kick back and relax at Red Beach, tour the pleasant surroundings at Perivolos, and then do a tasting at Santo Winery. To see photos, maps, where to stay, and tourist information, go to the Fira trip planner . You can ride a ferry from Milos to Fira in 2 hours. Another option is to do a combination of flight and bus. Expect a daytime high around 27°C in October, and nighttime lows around 20°C. 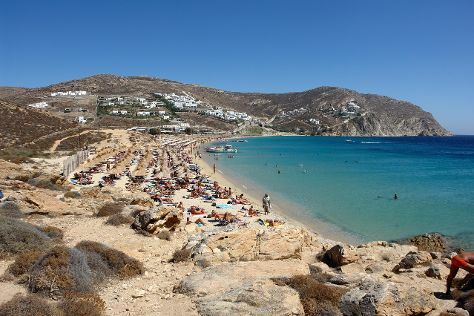 Finish your sightseeing early on the 29th (Mon) to allow enough time to ride a ferry to Naxos. On the 30th (Tue), take a stroll through Old Town, then delve into the distant past at Portara, and then kick back and relax at Agios Prokopios Beach. Discover how to plan a Naxos trip in just a few steps with Inspirock's itinerary builder. Traveling by ferry from Fira to Naxos takes 1.5 hours. Alternatively, you can do a combination of bus and flight. October in Naxos sees daily highs of 26°C and lows of 20°C at night. Finish your sightseeing early on the 30th (Tue) so you can travel back home.